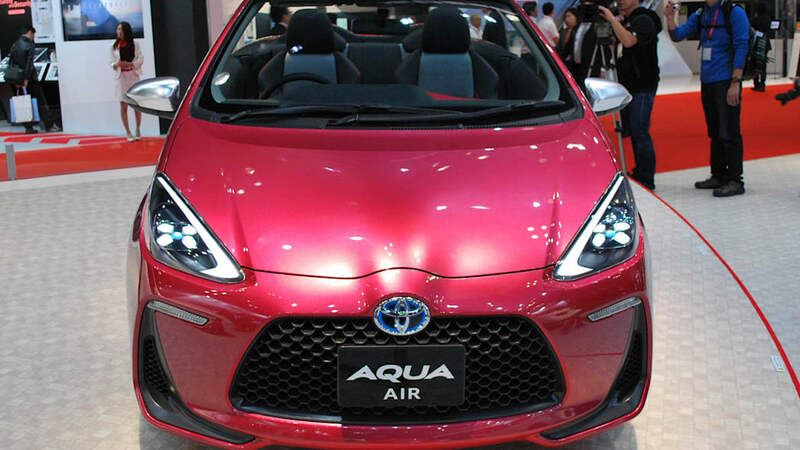 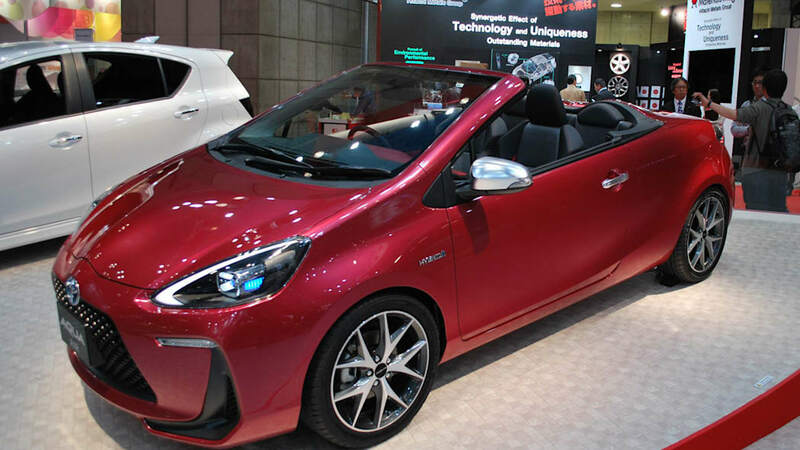 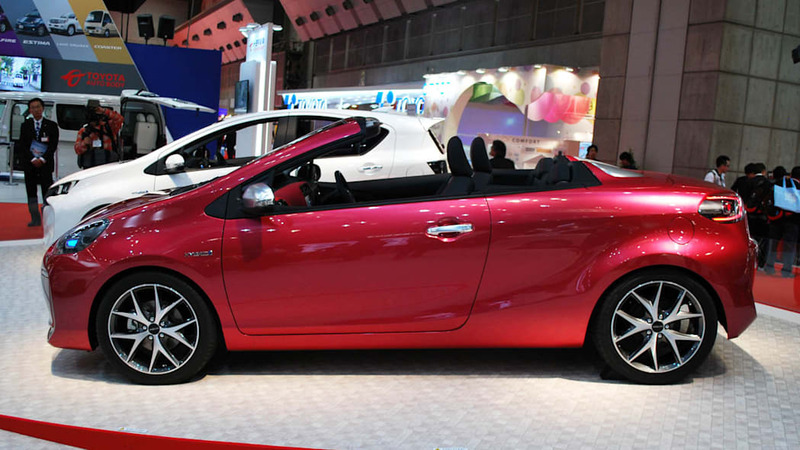 What we know as the Toyota Prius C here in North America goes by Toyota Aqua in Japan. 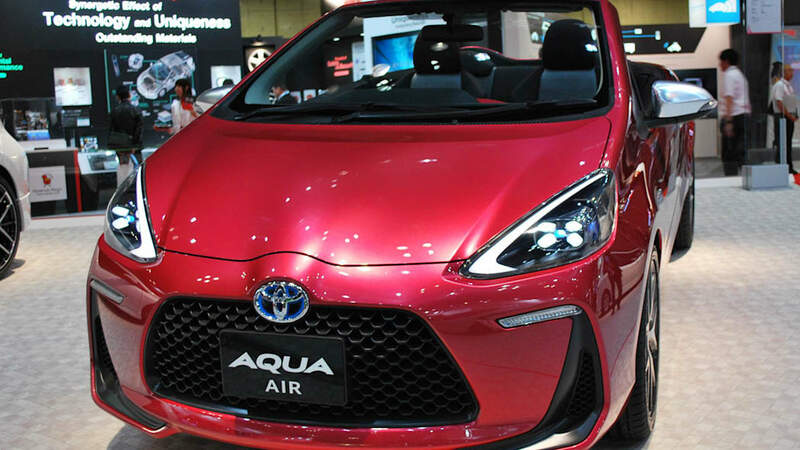 And, just as it did in 2011, the automaker has taken advantage of its home Tokyo Motor Show to show off a few variations of products that the Aqua could spawn. 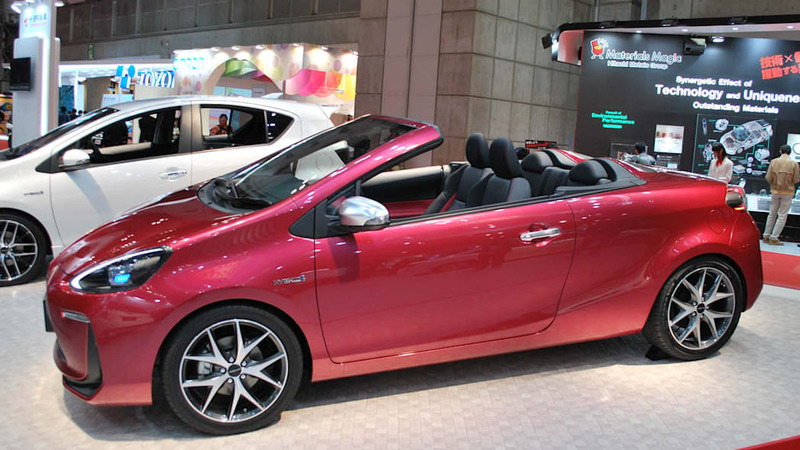 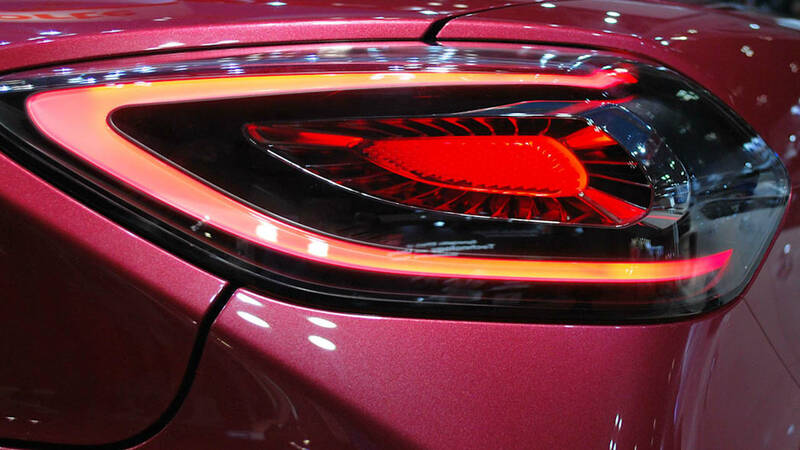 The most immediately appealing to our eyes is the red Aqua Air Concept seen up top. 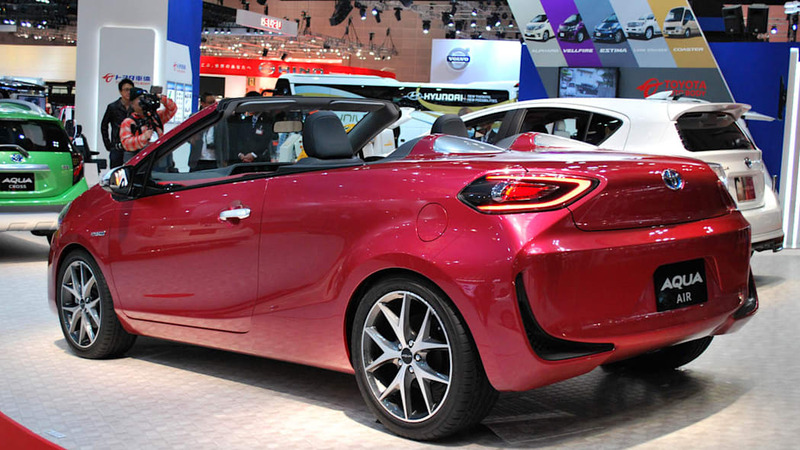 The pint-sized 2+2 droptop features some premium styling details despite its humble origins, like aluminum-finish mirror caps, LED lighting front and rear and some fetching alloy wheels. 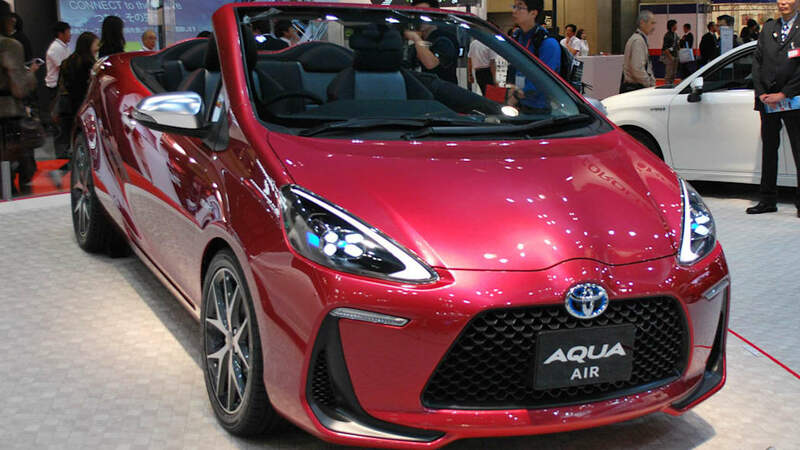 The Aqua Cross Concept is another rather large departure from the standard hybrid hatchback, with some mild crossover attributes (didn't see that coming, did you?). 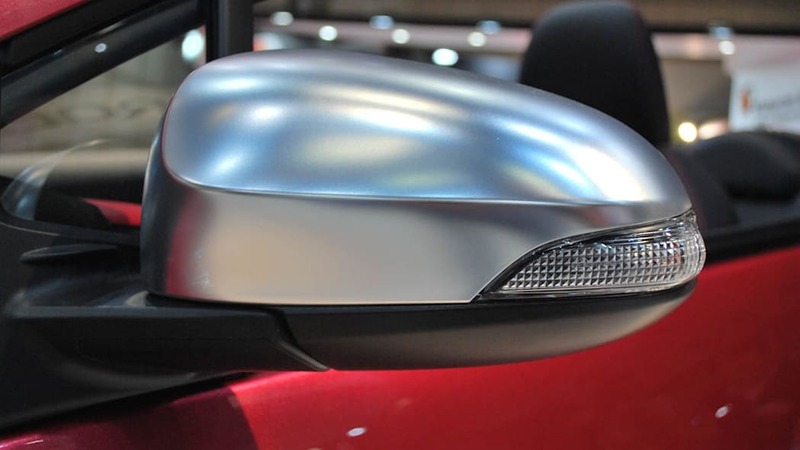 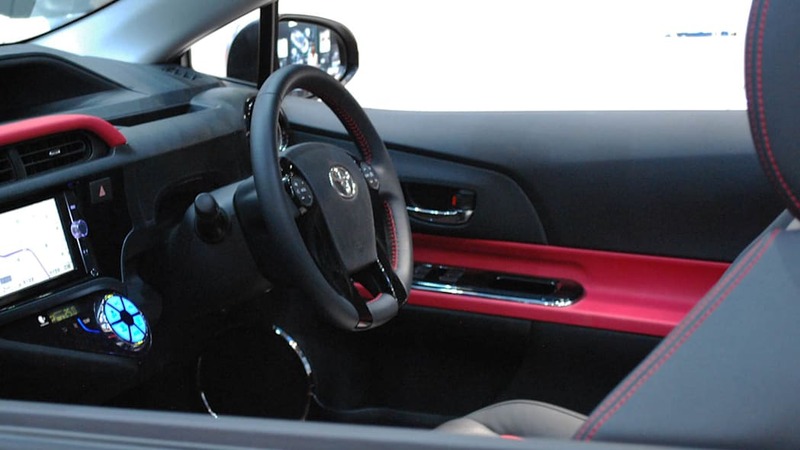 Toyota designers have borrowed rather liberally from the Subaru XV Crosstrek playbook here, with black body cladding running along the bottom edge of the vehicle, a marginal increase in ride height and a dark-finish wheel set. 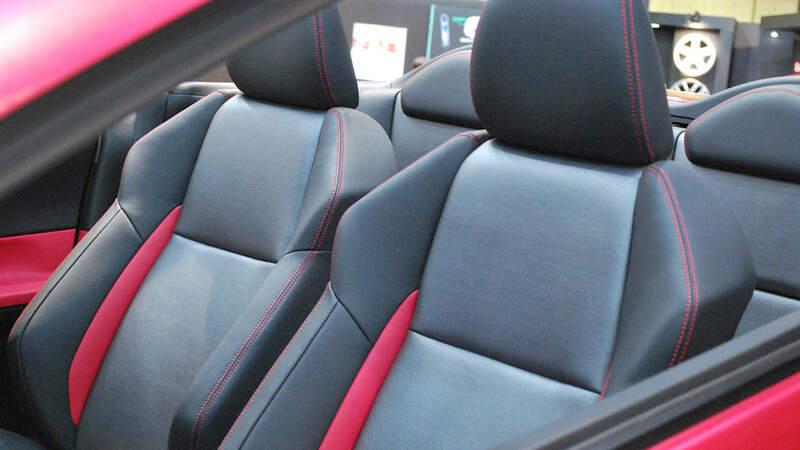 The matching black-over-green mesh on the seats and dashboard is a nice, whimsical Japanese touch, too. 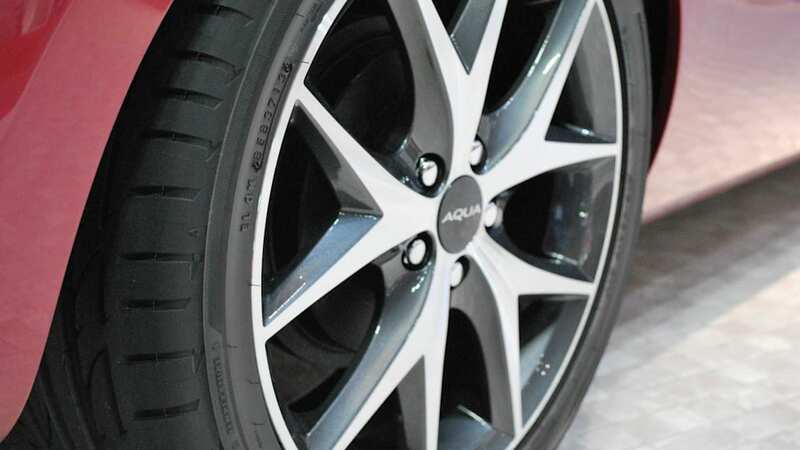 The last two version of the Aqua – Aqua G's Concept and Premi Aqua Concept ­– are the most staid of the bunch. 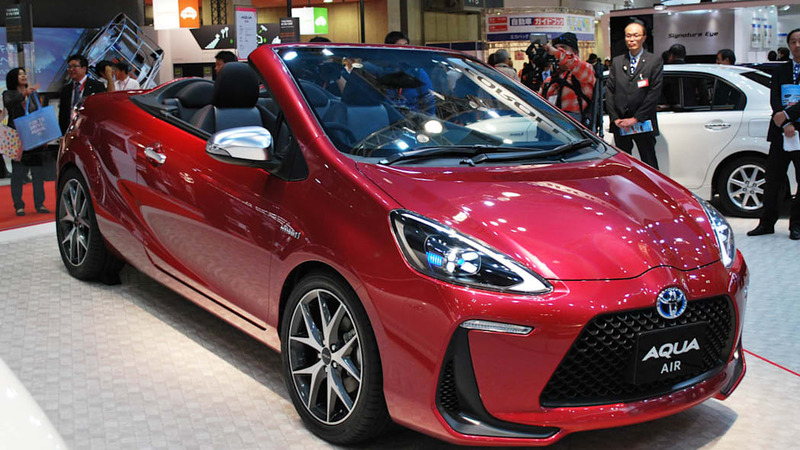 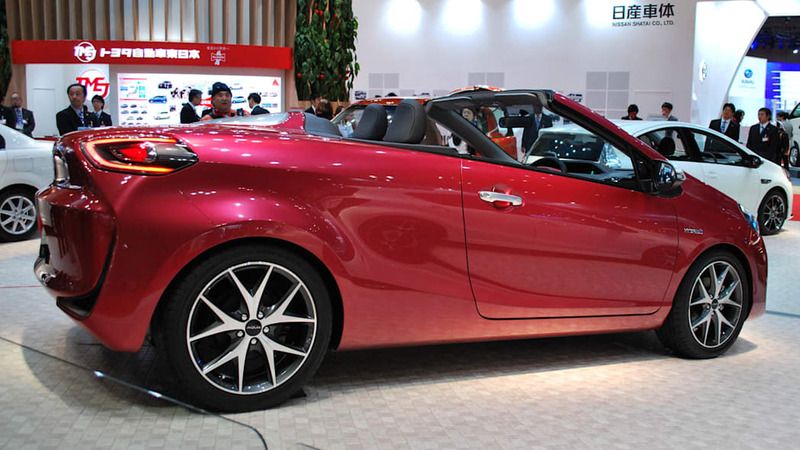 The "Premi" part of that car's name refers to "premium," with the evidence apparently found in the Lexus-like front grille treatment and leather-clad interior. 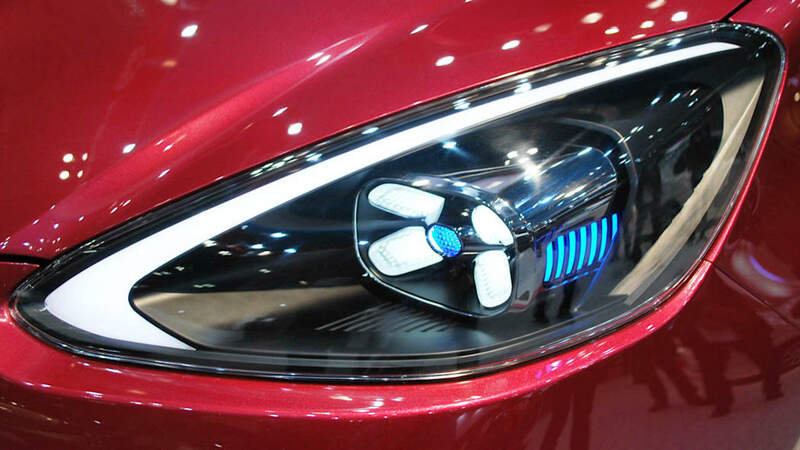 The G's Concept is the sporty member of the group (starting to sound like boy band, right? 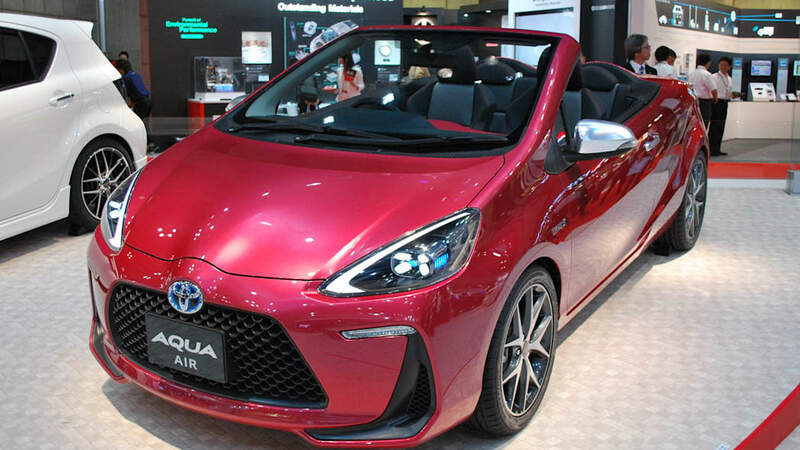 ), with yet another grille, a slightly lowered look thanks to a new body kit, checkered flag decals on the rocker panels and spindly wheels. 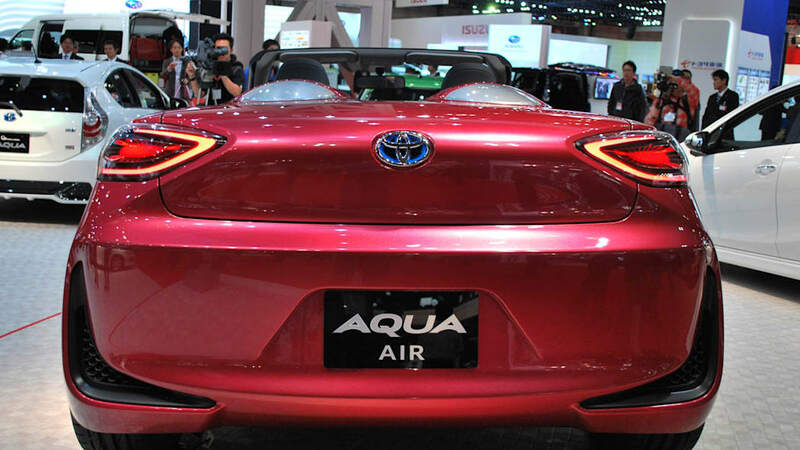 Toyota has been slow to update its media website with official information about the Aqua concepts, but we promise to update the post with official images and press releases when we have them.